Can Ukraine afford a divorce from Russia? Relations between Russia and Ukraine are about to cross the Rubicon. That is how many interpret the Association Agreement Kiev intends to sign next month with Brussels. The deal will establish a comprehensive free-trade zone between the former Soviet republic and the EU. The escalation of rhetoric and the entrenchment of positions took place a couple of months ago. First, the EU gave Kiev a stark choice. Brussels told Ukraine that it cannot participate in several integration projects at the same time; it must make its choice. Moscow adopted a softer stance: the Kremlin said the eventual goal of the Customs Union, a Russian-led economic integration project, was to establish a common economic area stretching from Lisbon to the Russian Pacific coast. Joining it would be the first step on the way to that greater project for Kiev. Russia and Ukraine would then bargain with the EU about the terms of further integration as members of the same trading bloc, the Kremlin said. But politics has outweighed rational economic thinking, and the debate in Ukraine has focused on the political aspects of Kiev’s decision. The choice, according to the Ukrainian proponents of the agreement, should not be made on the basis of short-term economic pros and cons; that choice will determine which civilisation Ukraine will belong to in the long run. Moscow and Ukrainian supporters of economic integration with the Customs Union have pointed to the economic benefits for Kiev. But their opponents portray those benefits as the “30 pieces of silver” Ukraine will get for abandoning its “European identity”. Emotions are running so high that the routine gathering scheduled for November 28-29 in Vilnius is being portrayed as a “geopolitical Stalingrad”. In such a climate, it is important to understand what will happen after Vilnius. There are two sides to this situation: rational economics and emotional politics. The practical Russian response to the signing of the Association Agreement has been outlined by officials all the way up to President Putin. 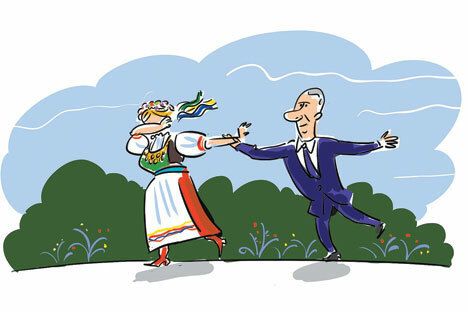 After Vilnius, Moscow will have no reason to give Ukraine preferential treatment in trade and economic relations. Kiev was given such treatment in the expectation that it would become a full member of Russian-led integration projects. Now Russian experts predict that once Ukraine opens up to exports from the EU, local Ukrainian producers will lose a large share of their domestic market to more competitive European rivals. Without a home market, Ukrainian goods will flood into Russia. There is also the danger of European exports being mislabelled as Ukrainian to gain entry to the Russian market in circumvention of the trade barriers between Russia and the EU. As a result, bilateral trade between Russia and Ukraine will undergo a radical shift. That will enable Russia to invoke Annex 6 to the Free Trade Agreement between CIS countries, which allows trade protection measures to be applied in such circumstances. These measures will not be in breach of the WTO rules. Exports from Ukraine will merely be treated in the same way as exports from the rest of the WTO members, whereas now Ukraine has favoured-nation status. It will be difficult for Kiev to challenge these measures at the WTO. The Russian response to the signing of the Association Agreement between Ukraine and the EU will be almost instant. Moscow will not wait for the agreement to be ratified. Article 486 of the proposed agreement allows for a provisional application of some of its parts once the EU has completed the necessary procedures, and once the deal has been ratified by Kiev. Ukrainian and European representatives have said the free-trade section will come into effect almost immediately upon its signature. The Association Agreement between Ukraine and the EU goes much further than the standard free-trade arrangements outlined in Article XXIV of the General Agreement on Tariffs and Trade. It is also more ambitious than similar EU deals with other countries. Brussels’ main political objective, which Kiev appears ready to play along with, is to create an institutional framework that will bind Ukraine to the European project in the long run but without imposing any commitments on the EU. As far as the emotional political component is concerned, the scale, speed and ruthlessness of the Russian response will probably be proportional to the degree of geopolitical gloating in the EU and Ukraine at Moscow’s apparent “defeat”. In addition to the trade and economic steps, Moscow could take even more painful measures, such as scaling down cross-border and regional co-operation. It could even restrict the influx of Ukrainian labour migrants. But most experts consider this to be practically useless. The introduction of visas for visitors from Ukraine, however, does not seem to be on the agenda for the time being. But once Ukraine has taken its relations with the EU to a new level, there will be no point trying to preserve existing relations between Ukraine and Russia, which are based on the feeling of the countries being not quite foreign to each other. That sentiment has been a tangible element of Russian-Ukrainian ties since Ukraine gained independence. In a sense, withdrawing preferential treatment will be Russia’s ultimate and final recognition of Ukraine’s independence. To Russia, Ukraine will become just another foreign country. That will hurt, but independence has its price. It is important to make sure such decisions are taken on the basis of sober and rational calculations, as opposed to political slogans. Looking at the debate in Ukraine, there is no certainty that the rational approach will prevail. Fyodor Lukyanov is a political scientist and editor-in-chief of the journal Russia in Global Affairs.